About Advanced Protein Technologies Corp..
Home Advanced Protein Technologies Corp. 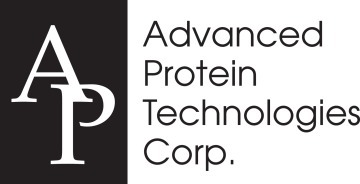 Send inquiry to Advanced Protein Technologies Corp. Your message will be sent directly to Advanced Protein Technologies Corp. and will be answered at their discretion.